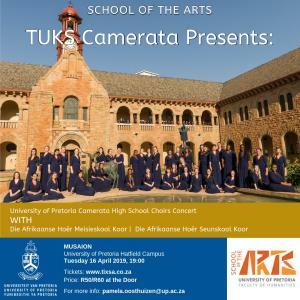 Join the University of Pretoria (Tuks) Camerata at our high schools choir concert. 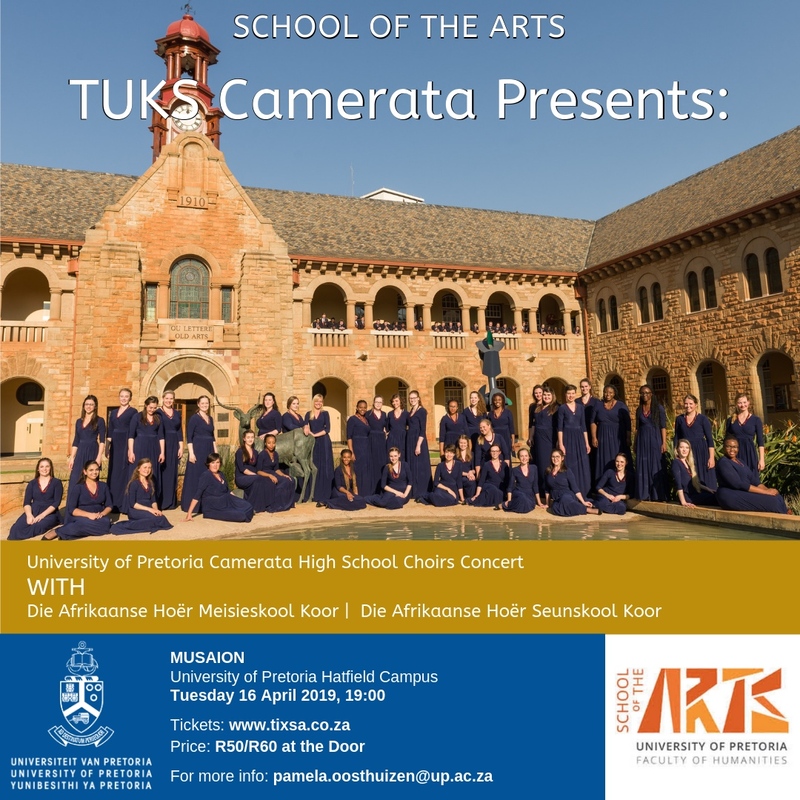 This time, we have the greatest pleasure of being joined on stage with Afrikaanse Hoër Meisieskool koor. & Afrikaanse Hoër Seunskool koor. It is set to be a fun and exciting event where music unites choirs from around the Pretoria area.